A significant number of readers who had an apparently high level of engagement with On An Overgrown Path via Facebook in the form of daily likes, shares and comments have simply disappeared since the blog severed its blogs links with social media. Now that is, of course, their prerogative. They don't have to read my blog, and the current trend suggests sufficient site traffic will remain to justify continuing with it. But why have these people who appeared to be deeply engaged simply severed the virtual relationship? It is a question that is worth asking, because the answer has important implications for classical music's obsession with reaching a new audience. The disappearance of these Facebook heavies confirms a theory I have held for some time. My theory is that a relationship on Facebook and other social networks is like a public toilet. If one is conveniently available it will be used. But if one is not available that is no problem, because there is always another close by. Social media creates addiction by providing instant gratification. So any obstacle to instant gratification such as leaving the comfort zone of Facebook for other content sources is now out of the question for its addicted 2.19 billion monthly users. The implication of this goes far beyond a group of readers not being prepared to make some small effort to continue reading a blog. Classical music sees reaching a new audience as its holy grail, and social media - notably real time streaming of concerts - is seen as key to recovering the holy grail. Engaging classical audiences via social media may produce an impressive quantity of engagement. But it totally ignores the quality of that engagement. Benjamin Britten explained that "music demands... some preparation, some effort, a journey to a special place, saving up for a ticket, some homework on the programme perhaps". You do not have to be a fully paid-up Britten fan to see the truth in this assertion. The effort required to attend a classical concert today is the antithesis of instant gratification. Yet we believe that classical's new audience will magically migrate from the effort-free and cost-free comfort zone of social media streaming to the challenging and not inexpensive environment of a city centre concert hall. Sorry, but the evidence shows quite clearly that this belief is false. For classical music to move forward it needs an audience with a high level of engagement. Social media audiences have a very low level of engagement and loyalty. Classical music should stop chasing quantity and start chasing quality audiences. 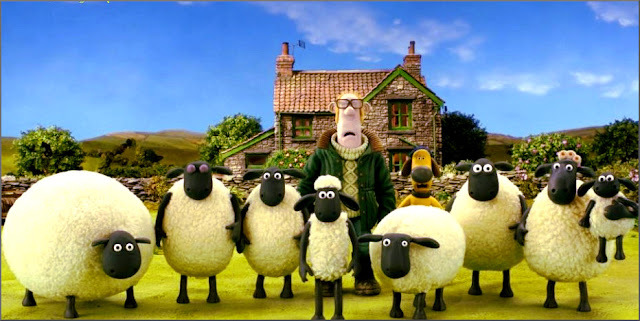 Header image is from Shaun the sheep film. On An Overgrown Path is no longer linked on social media. New posts are available via RSS/email by entering your email address in the right-hand sidebar. Any copyrighted material is included as "fair use" for critical analysis only, and will be removed at the request of copyright owner(s). The problem may be that quality audiences only want to go to quality concerts. I love the symphonies of Bruckner. My local professional symphony orchestra gave a performance of the 7th which was dull, uninspired and not completely technically secure. I'm not prepared to spend my money going to a below par concert when I can stream Abbado or Karajan, or listen to several CDs I've bought over the years. I am prepared to travel a long way and pay good money for an excellent performance (I will go to see Haitink perform the 6th in Chicago in October). But I am not prepared to go to run of the mill performances locally any more. And the rest of the programming of my local symphony is not inspiring - a season will always include The Planets, some Mahler symphonies, Rachmanininov and Tchaikovsky concertos, often after the obligatory 10 minute world premiere of a local composer's never to be heard again piece. I can hear better performances of the standards at the click of a mouse or the press of a button. This then leads to another issue - Haitink and Abbado did not spring forth as fully formed maestros (maestri?). They had to develop their skills over many years, giving many concerts. Perhaps the conductor of my poor local 7th will become a great legend in 30 years time. But if people don't go to his concerts, he won't get there. I don't have any solutions - but I feel that the classical music environment is unhealthy - and your blogs are depressingly accurate.